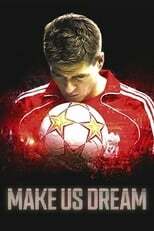 You don’t need to be a Liverpool fan to love Make Us Dream. But by the end of it, you may want to become an LFC supporter. Because Writer-Director Sam Blair brilliantly crafts the tale of Steven Gerrard so that his pain, his mission, and his love for club and city bind to your heart. When you watch this film, you believe the club is the man, and the man is the club. You learn the history of LFC as Gerrard lived it. Thanks to his being in the age of video, we watch game film of him as a child, as a teen, and as a first team player. Blair also makes a great decision to add Gerrard’s words as voiceover, rather than as talking head interviews. That is a key strategy, because you feel like you are inside his consciousness, witnessing his thoughts and feeling his introspection. You understand why Gerrard can’t separate his future from Liverpool’s. And that’s what makes this film so powerful. I feel it is the best biographical football documentary that I have reviewed. I also found that the depiction of the Miracle of Istanbul was more rousing than any I’ve seen (Will and One Night in Istanbul). However, I didn’t give this film a perfect 10 because the film loses its edge the last 20 minutes. But I enjoyed the film so much, I took copious notes. I don’t usually write a synopsis, but I was compelled to include one below. The documentary starts in Sep-2016, when Gerrard went to play for the LA Galaxy. He tells you that he left Liverpool to get away and try to find answers. When he is 9 years old, his 10 year old cousin Jon-Paul Gulhooley dies in the 1989 Hillsborough disaster. After the disaster, LFC loses the league to Arsenal (covered without much empathy in the film 89). Under the weight of it all, Kenny Dalglish retires after steering the team for 20 years. His departure marks the rise of ManU under Alex Ferguson. 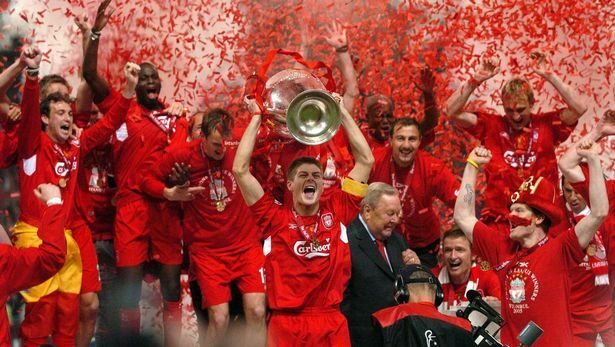 Liverpool has been the most successful British club in European championships. However, the club is surrounded by economic troubles. Its players have ability but their brightest moments have been driven by the determination to punch above their weight. For a player to be successful, Mentality is all important. Coming up together through the LFC youth system with Michael Owen, the two boys get their first senior team appearances as teenagers. Other teammates include Harry Redknapp and Jamie Carragher. Gerrard gets his first LFC goal in 1999 at age 19. In 2001, he gets Young Player of the Year. However, under Roman Abramovich, the EPL transitions to the age of Chelsea and José Mourinho. As of 1997, footballers have become celebrities. Gerrard knows that Liverpool cannot compete with the likes of Chelsea and ManU, who are paying £ 30M at every position. Liverpool brings in Rafa Benitez to manage, but he doesn’t exercise emotional care or respect for Gerrard, nor does he have pull with the players. Still, Gerrard remains loyal and turns down a £ 36M offer from Chelsea. But then in 2005, Michael Owen leaves for Real Madrid. The team’s success is now all on Gerard’s shoulders. Would he be one of those captains who never won anything? They beat Chelsea 1-0 in the semi-final. The final in Istanbul vs AC Milan. Against players Pirlo, Crespo, Kaká, Shevchenko, Maldini, Nesta and more. LFC give up a goal in 50 seconds. Stevie feels lost. They give up 3 goals by halftime. 40,000 fans sing “You’ll never walk alone”. Gerrard gets a goal in the 53rd. 2 minutes later, a 2nd goal. Men in the stands are crying. Then a PK. Extra time. Then a shootout. The Miracle in Istanbul. Six weeks later he wants to leave the club, but fans castigate his decision and even resort to threats. “What I was giving to the club, it was me life. I gave everything. But maybe I deserved to play in a better team for a manager that loves me. Maybe it might be better for me to move on. My head was spinning and I was lost. After talking to his father and brother, Gerrard renews for 4 years. “You’re a Scouser,” says his Dad. They win the FA Cup in 2006. In 2007, American owners come in and start spending. But by 2010 they are in serious financial trouble. They sell big players. The courts force a sale to Fenway Sports Group. Gerrard gets injured and a groin infection splits his pelvis. In 2013/4, LFC have Suarez and Coutinho. By that time, Gerrard is on painkillers and has a epidural for the stress fracture in his back. He slips on the field and gives up a goal to Chelsea, causing LFC to lose the title to ManCity. Like Dalglish, Gerrard retires in 2015. We all know that a team doesn’t really lose a season based on one mistake in one game. So perhaps it is more for dramatic effect that Blair shows, ironically and devastatingly, how Captain Gerrard twice makes mistakes that cause the club to lose shots at the premiership title. Very little is shown about his time with the LA Galaxy. Perhaps it is just as well, because I think most MLS fans decried his signing as a money grab. After seeing this film, I realize that Gerrard was by then a broken body. That MLS brought him in seems like a terrible decision. I had the chance to see Gerrard up close when the LA Galaxy came to San Jose. I was surprised how big he was — much larger and huskier than he looked on TV. His appearance pulled a number of Liverpool fans to our game, though. The question remains. Should he have tried another club in his prime? Could he have won more titles? Should he have cashed in, like almost every other player on the planet? If he had, he wouldn’t have been Steven Gerrard.